Szilvia Mosonyi is a PhD Fellow in Management at Cass Business School, City University London. She holds a Master’s degree in Corporate Social Responsibility (CSR) from Nottingham University Business School (ICCSR), and in Sociology from the Eotvos Lorand University of Science in Hungary. Szilvia’s research revolves around professions, CSR, and identity. In particular, it aims to answer questions such as how CSR professionals construct a mandate for their field and what tensions they face in their everyday work. Principal in her investigation is the client-consultant relationship. Szilvia also actively participates in research projects directed towards practitioners. Such projects included a research report on culture change in the banking sector launched in the UK Parliament, and a study of the effectiveness of responsible investment for the United Nations Principles of Responsible Investment (PRI). In September 2016, Szilvia launched her research report on working in the field of CSR as part of a successful event that welcomed over 70 practitioners at Cass Business School. She is part of both the Centre for Professional Service Firms and ETHOS, the Centre for Responsible Enterprise at Cass. In the latter, she takes on an administrative role. 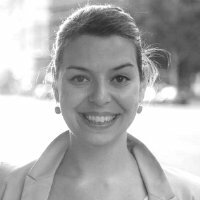 Prior to starting her doctoral studies, Szilvia spent 7 years as a CSR consultant at Deloitte in London, where she led and delivered advisory and assurance engagements to leading multinational companies across a variety of industries. This experience helped her succeed in teaching Executive MBAs at Cass Business School. She has experience in teaching CSR, organizational behaviour, management consulting, and design thinking to postgraduate and MBA students. Gond, J.-.P., Mena, S. and Mosonyi, S. Meta-Reviewing the Business and Society Field through Sociological Paradigms. Mosonyi, (2016). United we stand, divided we fall: Building successful relationships in Corporate Responsibility and Sustainability..
Professional Service Firms Annual Conference. (Conference) Stockholm School of Economics, Stockholm, Sweden (2017). Co-authors: Gond, J-P.; Empson, L.
EGOS Conference. (Conference) Copenhagen, Denmark (2017). International Association For Business and Society (IABS). (Conference) Amsterdam, The Netherlands (2017). Paper: Meta-Reviewing the Business and Society Field through Sociological Paradigms: Towards Pluralistic Re-Presentation of CSR? Co-authors: Mena, S.; Mosonyi, S.
Business and Society Research Seminar. (Seminar) IESEG, Lille, France (2017). The Role of Consultants in Responsible Practices. (Public lecture) Paris Dauphine University, Paris, France (2017). Panel Member. Invited speaker. United we stand, divided we fall: Building impactful relationships in Corporate Responsibility and Sustainability. (Public lecture) Cass Business School, London, UK (2016). 7th International Conference on Corporate Sustainability and Responsibility. (Conference) Humboldt University, Berlin, Germany (2016). Paper: United we stand, divided we fall: Relationships between Corporate Responsibility and Sustainability Professionals. Academy of Management Conference. (Conference) Anaheim, USA (2016). Co-authors: Empson, L.; Gond, J-P.
EGOS Conference. (Conference) Naples, Italy (2016).